Our turkey meatballs packed with quinoa and zucchini are a delicious and healthy recipe the entire family will enjoy. We especially love to serve them with prepared tomato sauce and romaine lettuce or spiralized zucchini noodles. Skip the spaghetti and and make romaine lettuce boats for the meatballs. Per Serving: 368 calories; 22g fat; 11.3g carbohydrates; 33g protein; 152mg cholesterol; 399mg sodium. I'm officially obsessed with this recipe! I swear you could not even taste the quinoa or zucchini. 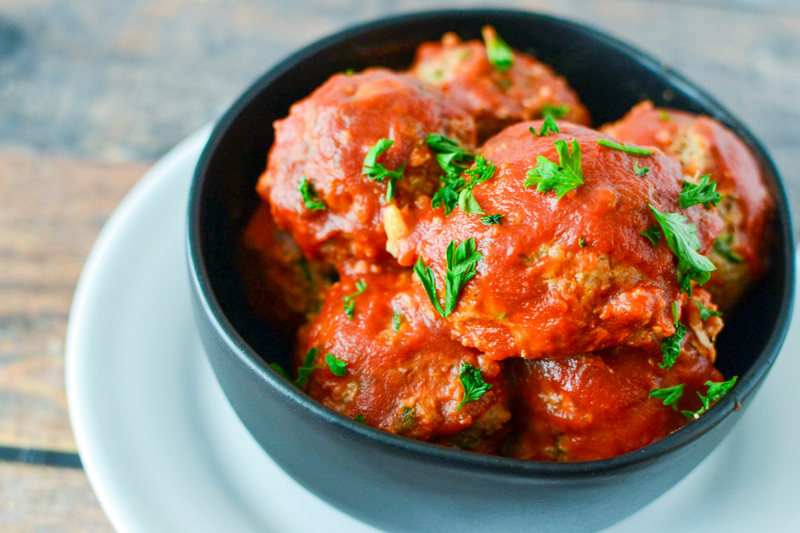 These meatballs are by far one of my favorite, and not only that but they are so delicious. I smothered them in tomato sauce and ate them without anything else. I don't use ground turkey a lot when I cook, but this dish does not lack any flavor. 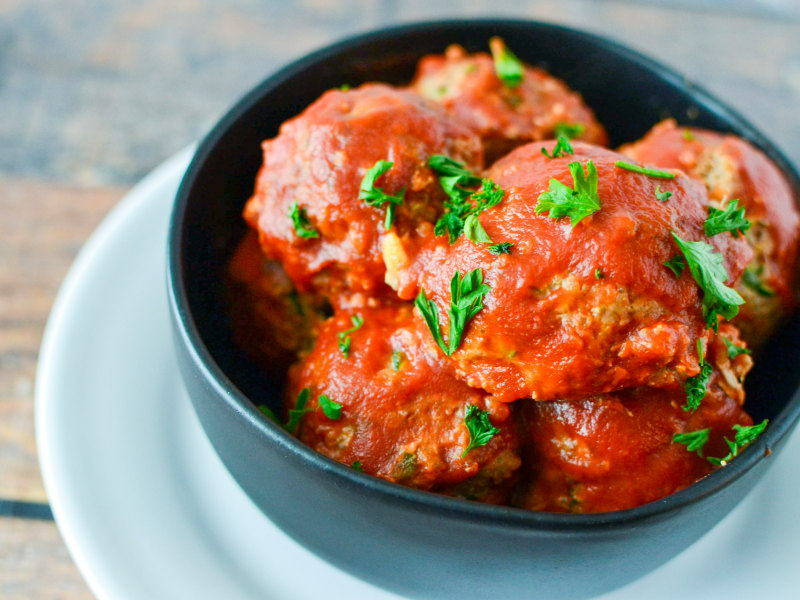 Really good meatballs, especially for someone like myself that is new to eating quinoa. Goes perfectly with tomato sauce and noodles. Favorite! I let the meatballs chill in the fridge for 30 minutes before cooking. The flavor was so good, I ate them alone. I used mixed quinoa instead of white, not sure if it made a difference. These are great for meal prepping too! These meatballs turned out great. They weren't greasy, they held together nicely, and you couldn't even detect the quinoa. I made lettuce boats, thought it was excellent. Served this as an appetizer at my party. I also used homemade tomato sauce, which made this dish incredible. No need for parmesan cheese! You won't want or need it.